During the last years, we have seen an emerging market growing at fast-pace rates every quarter; hence, leading the global economic growth. The main countries experiencing such growth were mainly the BRIC’s countries, which are Brazil, Russia, India, and China. 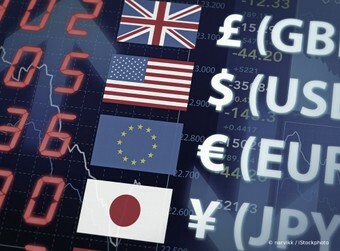 Nonetheless, this situation has changed this year, for the first time since the start of the financial crisis Japan, The U.S., and Europe together are contributing more to the global growth than the emerging markets according to an estimate by investment firm Bridgewater Associates LP. Among the factors to this shift: a resurgent Japan, whose economy expanded 2.6% on an annualized basis last quarter reported by the government last Monday. The recovering of the U.S. economy and an expected slightly EU’s economy expansion that new reports this week are expected to show. On the other hand, the emerging market countries are experiencing a contraction on their growth. Beijing’s official full-year growth target is 7.5%, making it the year with the slowest growth ever seen since 1990, still surpassing the U.S. pace of 2%, though many analysts comment that China will grow even slower than the government’s target. Brazil, the biggest Latin America’s economy, is also stagnating. Brazil grew just 1% last year after growing at almost 8% in 2010. Global companies investing in the emerging markets are optimistic about these numbers. This entry was posted in Uncategorized and tagged Brazil, BRIC, China, Economic Crisis, FED, Global Economy, India, Japan, OECD, Recovery, Russia, USA. Bookmark the permalink.